Welcome to Arrowhead Honda! We're excited to serve drivers from downtown Phoenix to West Valley. With a dynamic lineup of Honda vehicles and a knowledgeable staff, we'll be able to help drivers in Glendale, Peoria, and Sun City from the time you're browsing online through all your trips back for routine maintenance. Our dealership lot features a large selection of new, used, and certified pre-owned Honda vehicles. We offer lots of variety, so everyone can find a ride that matches what you're looking for. Every Honda provides you with reliable performance and convenient technology. With driver assistance features and a user-friendly infotainment system, you'll be in for a safe and more informed drive. 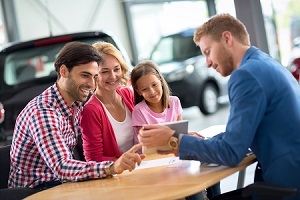 Whether you're shopping for a car, truck, SUV, or minivan, our knowledgeable sales team will be able to guide you to the Honda that's right for you. To get started, check out our full inventory online. We want to help you drive home in the Honda vehicle that you've got your eye one. After you've picked out the car that you want to buy or lease, you'll meet with one of the experts in our finance center. They'll go over the entire process with you and discuss your options. At our Honda dealer in Peoria, AZ, each member of our team is committed to helping you get a great offer. To see how they'll go above and beyond to get options that work for you, visit our finance center. There are lots of useful tools available online too, so you can find the value your used car before trading in or apply for financing online. 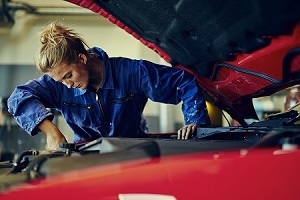 Getting routine maintenance is the best way to keep your Honda running smoothly for a long time. At our Honda dealer Peoria, AZ, we offer a service center featuring a team of highly trained technicians who can keep your car in great shape with regular oil changes, tires rotations, and multi-point inspections. Our technicians can also get your car back on the road if it ever needs more extensive service like engine or transmission repair. Whenever your vehicle needs a new part or accessory, you can be sure that our technicians will install only the highest quality replacements. We exclusively use genuine Honda parts that were made just for your model. You can also order parts and accessories from us online from our parts department. If you're due for maintenance or you think your vehicle needs a technician, visit our service center to schedule an appointment online. Visit Arrowhead Honda, your local Honda dealer in Peoria, AZ, to test drive one of our stylish and reliable Honda vehicles. We pride ourselves on offering a great selection and quality service to drivers from Peoria and Glendale to Sun City and Surprise. Contact us today to get started!